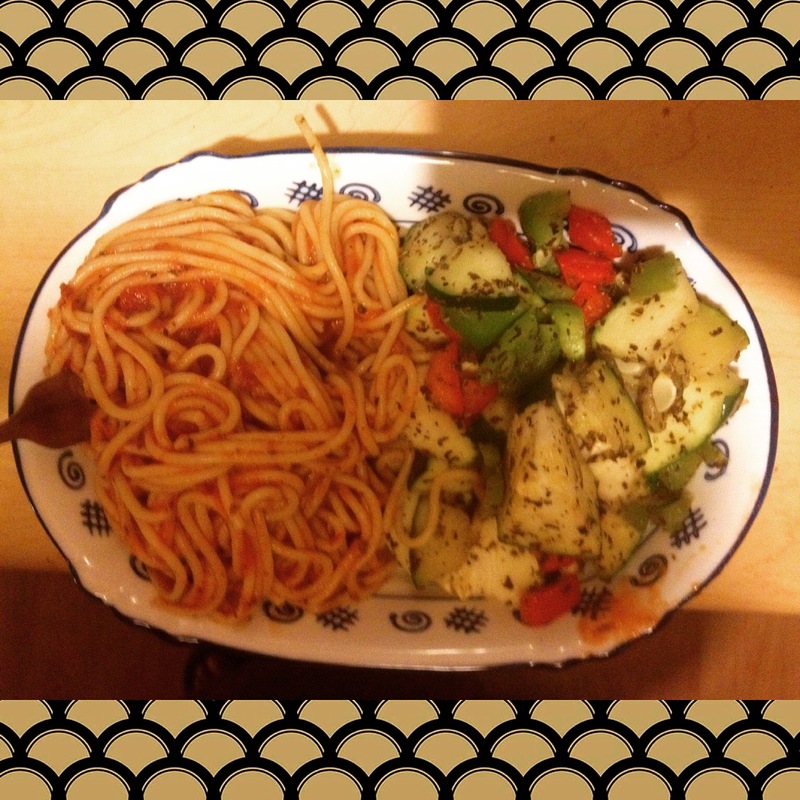 This vegetable medley is zucchini cut up with red and green pepper, and white onions. It’s pan fried for around 5 minutes, just to soften the veggies, not over cook them with a table spoon of olive oil. You can season this to your taste preference. I went with a more Italian route by using oregano, basil, garlic, salt, and black pepper because I was pairing it with spaghetti. My only suggestion is not adding the vegetables to the pasta in the pan. The heat from the pasta may end up over cooking the veggies. I don’t like soggy veggies, and I’m sure you don’t either. My son suggested adding Parmesan cheese to the veggies as well as on the spaghetti when I made this. It was actually really tasty without overpowering the flavor. Of course, if you were to use eggplant in your mix, adding the cheese would be a few steps away from Eggplant Parmesan. You can either add the veggie mix to the sauce then pour over pasta or put it on the side like I have in the picture. This can be a hearty veggie sauce for the colder months, or a delicious side in the warmer months. It’s very versatile. Have fun with veggies – they don’t have to be boring or bland!